Which Is Healthier: Baking, Grilling or Frying? Home/Blogs/Which Is Healthier: Baking, Grilling or Frying? Healthy cooking doesn’t mean that you have to become a gourmet chef or invest in expensive cookware. You can use basic cooking techniques to prepare food in healthy ways. By using healthy-cooking techniques, you can cut saturated fats. Consider, for instance, that many of the fats used for frying such as butter and lard are high in saturated fats. Adults should limit calories from saturated fat to no more than 10 percent of total daily calories. For a 2,000-calorie diet, that means no more than 200 calories from saturated fat about 22 grams of saturated fat a day. By switching to roasting, you not only eliminate added fat but also allow any fat in the food to drip away. The healthy-cooking methods described here best capture the flavor and retain the nutrients in foods without adding excessive amounts of fat or salt. Use them often to prepare your favorite dishes. Baking is often taken to mean roasting, which cooks meat, fish and vegetables at high temperatures in the oven. A dry-heat cooking method, baking requires little added fat, and if you use a roasting rack, any fat will drain out during cooking. Baking can destroy heat-sensitive vitamins, including vitamin C and some B vitamins. If you use fluids, such as stock, during the cooking process, water-soluble vitamins may be lost unless the liquid is consumed with the foods. Because baking exposes foods to high cooking temperatures, above 300 degrees Fahrenheit, acrylamide, a carcinogen is produced as the food browns. To avoid this, try lower roasting temperatures, although this will increase the cooking times. Grilling is also a dry-heat cooking method that uses little added fat. Flavor is added to the foods as they are exposed to smoke and char during the cooking process. 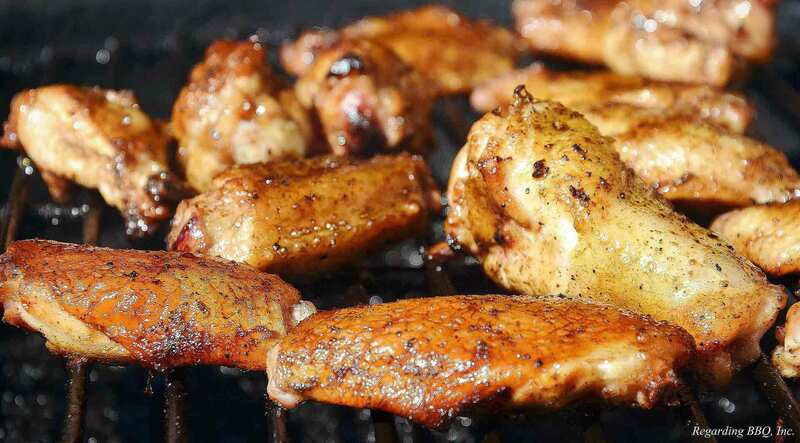 The high cooking temperatures, charring and exposure to smoke, however, means that grilled foods are high in carcinogens, namely heterocyclic amines and polycyclic aromatic hydrocarbons. As with baking, grilling will partly destroy heat-sensitive vitamins, although there is little loss of water-soluble vitamins. Frying, including deep-frying, pan-frying and stir-frying, involves the use of added fat that browns the food. Deep-frying and pan-frying both involve submerging food in hot oil, while stir-frying uses a small amount of added oil and high heat to quickly cook foods. All three forms of frying lead to no water-soluble vitamin loss, and very few heat-sensitive vitamins are lost. As well, if you use a healthy oil to fry with, such as soybean or olive oil, you can boost your intake of healthy fats and vitamin E. Deep-frying and pan-frying are less healthy than stir-frying because they lead to a high absorption of added fat and the formation of acrylamide. Proper technique is important to keep all cooking methods healthy. If your oil is not hot enough for deep- or pan-frying, then a crispy outer shell will not form around the foods, and it will take longer for the foods to cook, leading to extra absorbed oil. Similarly, if your grill is not hot enough before cooking, it can take longer for foods to be ready, leading to more smoke exposure, increasing the amount of carcinogens on your grilled foods. Add a bit of water to the bottom of the roasting pan when baking, to avoid smoke being produced during high temperatures. While all meats, fish, shellfish and vegetables can be cooked by baking, frying or grilling, dough products, such as breads, are better suited to baking, and eggs are better suited for frying or baking than for grilling. If home-cooked food is to score above fast food, it’s important that we don’t cook the way restaurants do, by re-heating, re-frying, and freezing all the time. If you do eat like this and your body seems to be taking it; it’s probably because you are young and healthy. “Young, healthy individuals with a high metabolism rate take longer to show the ill-effects of a nutrient deficient diet”. “In time, everyone has to pay the price of a bad diet,” he keenly adds. “People may not even relate the problems they are suffering from to their diet.” “It’s the little things such as skin problems, lowered immunity or simply fatigue.” But this is only the beginning. “Poor nutrition makes one susceptible to not just overweight and obesity but also many diseases ranging from heart disease, diabetes to cancer,” advises Kigozi.